This is my first time I am linking up with the World Bird Wednesday meme, sounds like a great place to check out a lot of different birds. 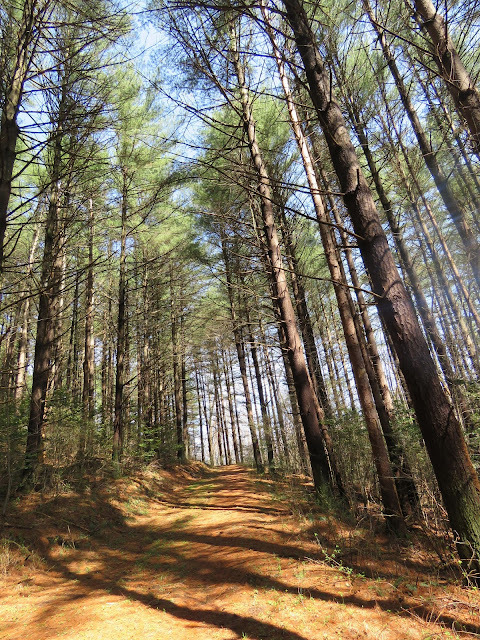 Also linking up with Wordless Wednesday . If you like you can read my first comment about the White Crowned Sparrow. Thanks to the great hosts of both the World Bird Wednesday and Wordless Wednesday. Also, thanks for stopping by my post. Beautiful sparrow, Eileen... I'm not sure I have seen one like that. 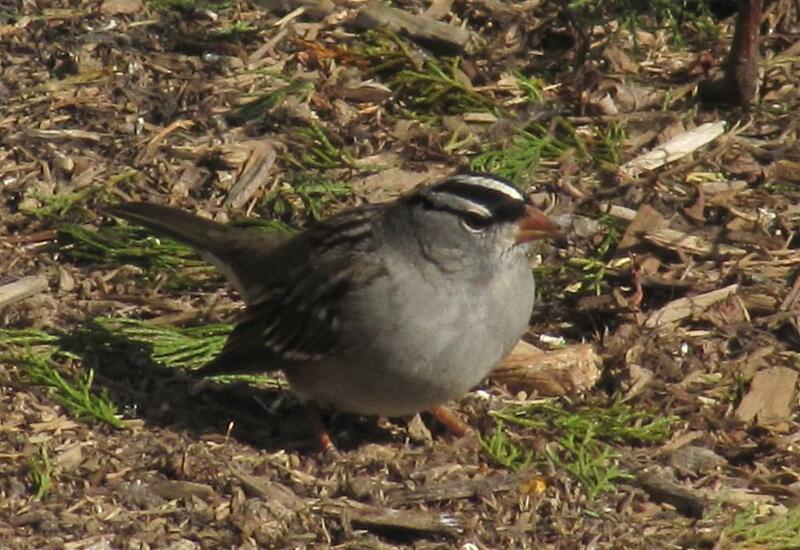 The White Crowned Sparrow shows in my field guide as a winter bird for me. It has a neat white pattern on its head, yellow bill and has dark lores. It is similiar to the Whited Throated Sparrow and the Golden Crowned Sparrow. This is one sparrow I am able to id with no problems. What a round little feller. Great capture. Great to see you joining in with WBW Eileen and presenting this delightful species. That is a beautiful White-crowned. They usually don't wait for me long enough. Glad you joined in the WBW meme! What a pretty sparrow. All I have had so far is a chipping sparrow but we had a new one yesterday. I haven't identified it just yet, but am working on it! Beautiful photo! Stay warm, I hate the ice too, it is worse! He reminds me of these chubby wooden birds that we have for sale at True Value. Cute picture! Great shot! Cute little bird! That's a beautiful little bird. All we've been seeing are Song Sparrows, but I've seen these here before near the mountains. Welcome to Wordless Wednesday. Sorry I don't have a bird picture for you this week. Nice clear picture of a white crown sparrow so I might be able to identify it if I see one personally. Sparrows are just "little brown jobs" here in Australia - good to see some with a bit of colour! Good photo of one of my favourites!! Boom & Gary of the Vermilon. I saw this wonderful sparrow for the first time two years ago in the spring when I left a pile of branches in my back yard and suddenly there they were. Spring seems a long ways off just now, your photo gives me hope! That is a gorgeous white crowed sparrow. Great capture. I only see them at my feeders during migration and sometimes I'm lucky and can get a photo of them... if they would stay still! I didn't know about World Bird Wednesday. I'll have to check that out since I take a lot of photos of birds. i've always liked White-crowned Sparrows. You got a great picture of this one! You have a beautiful little sparrow. Lovely image. Hi Eileen, What a handsome little sparrow. Clear to see why he was so named. Excellent sharp photographs. Have a wonderful day! What a lovely sparrow, Eileen, I'm amazed at how well you captured it. I have never seen this handsome little sparrow. Lovely photo! Im really drawn to those stipes! I dont get to see these unless I travel west a bit.. Very nice picture -- we used to have the white- and yellow-crowns in our yard in Oregon -- they liked the brush pile in the corner. I'm glad you joined World Bird Wednesday - you definitely belong there! (I am there to learn; you can teach!) Thanks for sharing. Excellent shot! This little guy is a summer bird for us. great shot of that sparrow Eileen! Wonderful shot! I always love to see these birds and to listen to their beautiful song. In Point Reyes National Seashore (my favorite local park) there is a resident population of these birds. Interestingly enough, there are 7 distinct subpopulations in the park that "speak" different dialects of their songs. Beautiful little sparrow, I don't think we have them in this area. Nice shot, Eileen! I love your header photo: the moon presiding over a quiet evening landscape. I've never seen or heard of that kind of sparrow. We have the non-native kind here.